سواءً كنت مسافراً بغرض السياحة أو العمل, فندق مانترا تولامارين هو خيار عظيم للإقامة خلال زيارتك ملبورن. يمكن من هنا للضيوف الاستمتاع بسهولة الوصول إلى كل ما تقدمه هذه المدينة النابضة بالحياة. يضفي محيط الفندق اللطيف وقربه من Melbourne Airport, Essendon Airport, Broadmeadows Medical Imaging سحراً خاصاً على هذا الفندق. استمتع بالخدمات الراقية والضيافة التي لا مثيل لها بهذا الفندق في ملبورن. إن خدمة الغرف على مدار الساعة, مكتب الاستقبال على مدار الساعة, مرافق مخصصة لذوي الاحتياجات الخاصة, تخزين الأمتعة, واي فاي في المناطق العامة هي جزء فقط من الخدمات التي تميز فندق مانترا تولامارين عن باقي الفنادق في المدينة. تعكس غرف الفندق البالغ عددها 277 المنتشرة في 9 طوابق جواً من الدفء والألفة.خدمات عصرية مثل تلفزيون بشاشة مسطحة, حوض الاسترخاء, غرف لغير المدخنين, مكيف هواء, تدفئة موجودة في بعض الغرف المختارة. كما أن مجموعة الخدمات الواسعة الموجودة في الفندق لضمان راحتك تترك لك الكثير من الخيارات لقضاء وقتك أثناء فترة إقامتك. استمتع بخدمات لا يعلى عليها وعنوان ذو اعتبار في فندق مانترا تولامارين . Perfect for lots of reasons. Professionalism of the staff. From being picked up and returned to the airport, arrival and departure, early check-in, food and the facilities. Not one complaint, no hesitation in recommending for anyone. Great place to stay if you have a early flight. Free shuttle bus every 15 minutes and only 3 min to airport friendly staff and a comfortable clean room . I arrived on an international flight, collected my bag and rang the hotel, 3 mins later the bus arrived and within 5 mins I was checking in. Even though it was late the reception was busy but the 4 staff quickly and very efficiently checked me in. The room was immaculate, huge comfy bed and shining bathroom with high pressure shower. I had an early flight so checked out early and again super efficient, went out to the car park and got straight on the transfer bus. 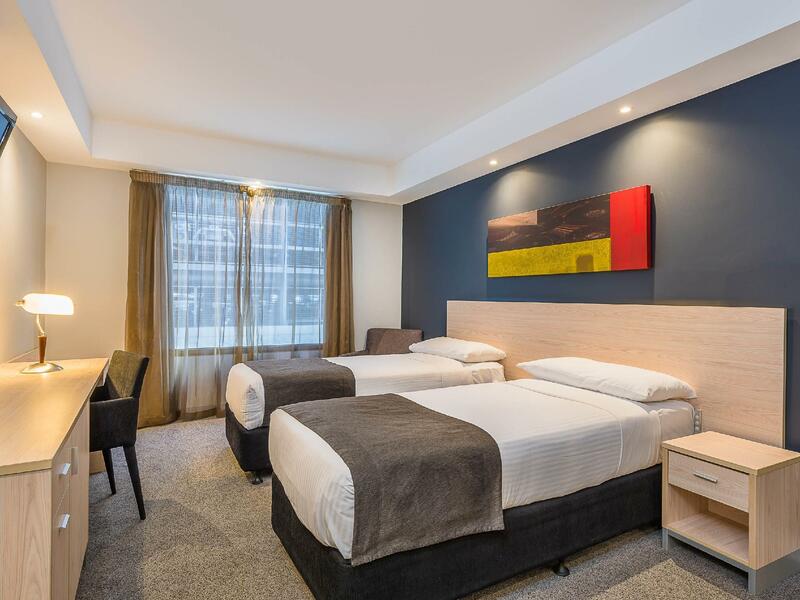 This is the ultimate transit hotel, super quick 24hr transfer service that you don’t need to book and truly only 5 minutes from the airport, fast efficient and friendly staff, comfortable quiet rooms and incredibly cheap (I paid $135). You would be mad to pay the tariffs of the terminal hotels when the Mantra is so easy to use. Highly recommend! Is the perfect layover between flights. Convenient, professional, courteous and relaxing 10 hour layover b4 an international flight. Would recommend to anyone. 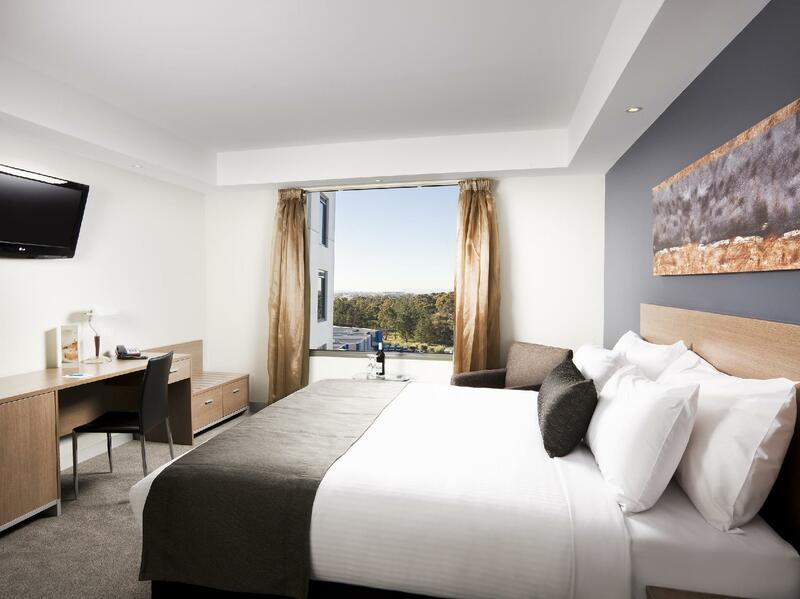 Good hotel if you want to stay near Tullamarine. One feedback- the kettle may have been used for some noodles cooking by a previous guest and was not cleaned properly. It seems that it sat like that for few days. We used the kettle and as any one would sterilise it by boiling it, it was a smell we could not bear and had to move out of the room. I want to believe that this was one of the slips and not a course for the hotel. There restaurant was very good, the staff was friendly and hotel is cheap. I will stay there again. Stopped here as it was close to the airport. Staff on arrival weren’t overly helpful or friendly, Asked for the best way to get to the waterfront to get on our cruise the next day, the girl had no idea. Wasn’t sure about shuttle buses even though an email rec’d from the hotel advised the staff could assist with any questions we had in regards to our stay and getting around. The staff when checking out the next morning we’re friendly and helpful. The room was well presented and tidy. There is no onsite parking, must park in parking station behind for an extra $30 a night. The free airport shuttle provided by the hotel was very useful and convenient. The service was prompt also. The room was clean and pleasant. There are also some eateries and convenience stores within 10-15 mins walk from the hotel. DFO Essendon is also only a mere 10 mins drive from the hotel. Proximity to the airport was great. The free shuttle service was awesome and found out it ran 24hrs and at 10 minute intervals but I was lucky enough get one straight away without waiting. Room was clean and tidy and had all the necessary things that are needed. Down stairs has a bar and restaurant that I cant comment on as I never had time to indulge. Look forward to staying here next time I travel through Melbourne. The location is near the airport, so it will take more 20 minutes each time to go to the city centre ad attractions. Although a bit far away, it is very relaxing when we swim and gym as the night view from the hotel is fabulous, we can see the flight too. Need to pay park fee each night and it is a bit expensive. The Mantra Tullamarine is my hotel of choice before or after travelling home to regional centre. It is modern, clean and comfortable. Food in the restaurant is top quality. Free shuttle to/from airport is handy. I was staying here on business, the shuttle bus to the airport is free and leaves every 1/2 hour. If you need to stay near the airport but don't want to pay the crazy high prices of the hotels at the airport then this is the pick. Nursing a nasty cold I needed somewhere to crash after dropping a relative at the airport before a 3 hour drive home. The Mantra gave me a quiet night, good sleep and delicious breakfast for the journey home. 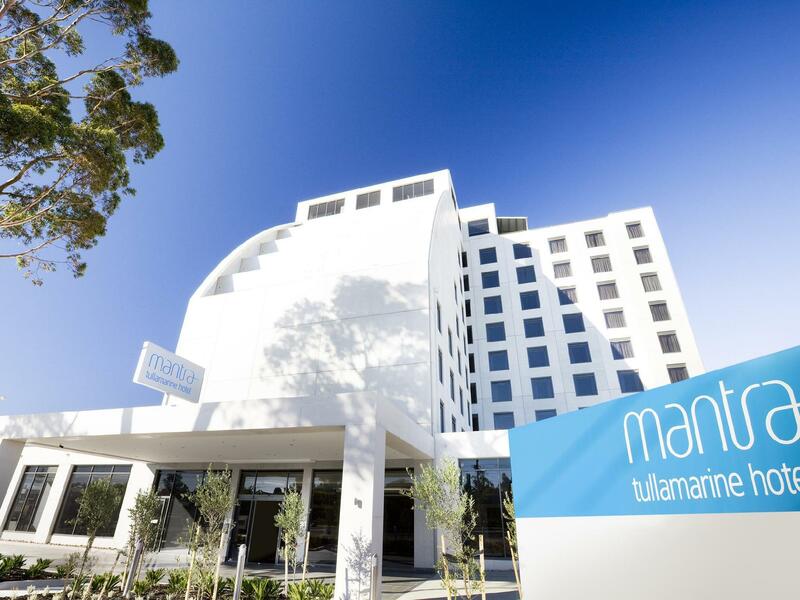 I enjoy staying at the Mantra Tullamarine as the service is so good- from the efficient pick up, check in, food service and check out. Staff are pleasant and friendly. The rooms are modern and comfortable. The room was well equipped and very clean. We felt very comfortable. It was quiet and great to sleep in. 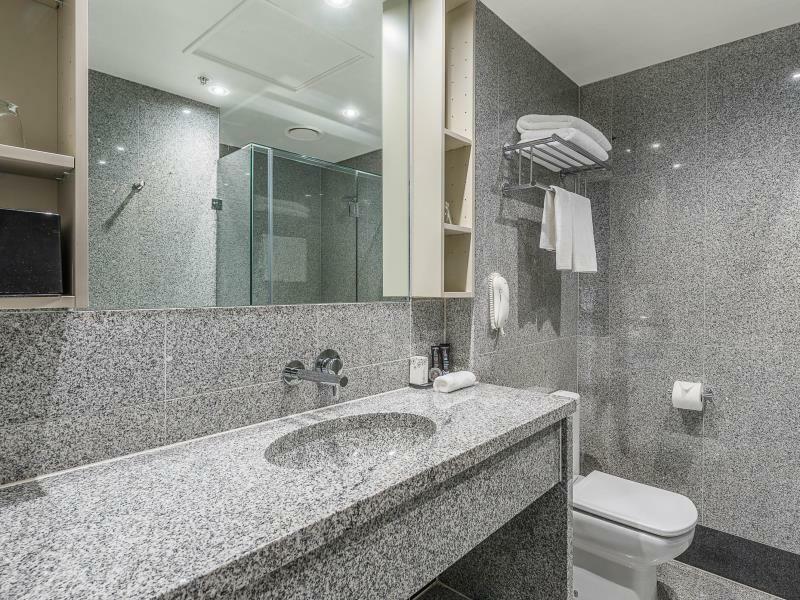 It is very close to Melbourne Airport and a convenient shuttle bus is provided for easy travel.We would stay again. WE needed to stay one night near the airport. The Mantra was great it offered everything we needed and also shuttled us to and from the airport. 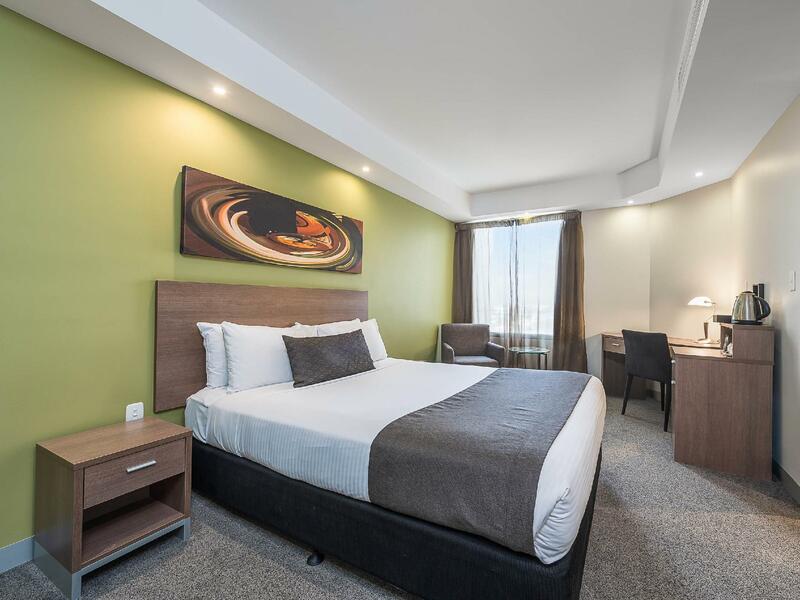 Is great for anyone who needs accommodation close to airport. Would definately stay again. We landed at around midnight and had to wait 1 hour for the shuttle because they were busy and only had one driver!! Man at reception was very unfriendly and did not seem to care. Key card did not work so had to go back to reception for another! The MOST uncomfotable soft and saggy bed i have ever tried to sleep in!! Breakfast was lovely but they stop serving at 10am which is crazy at an airport hotel, should be at least 11am or 12pm. They still are holding my $100 card deposit 5 days later!!! We flew in from Europe late afternoon and wanted to rest up before driving 3 hours home. We overslept the checkout time by an hour and half and I was worried that I would be charged for an extra day but reception staff member was very accommodating and let us off the hook. Restaurant meal was lovely. Efficient transfer to airport. Comfortable bed.